This is true information, soon we will see the next beta stage - Minecraft Bedrock Edition 1.10. It will be the first this year and most likely will mark the release version of MCPE 1.9 which is still under development. One of the first proven features to be implemented in MCPE 1.10 were shields and combat system. 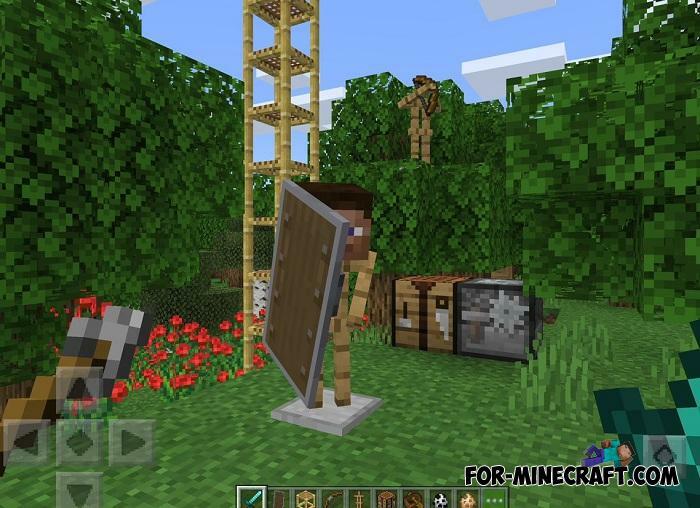 You could see the shields in Minecraft PC, the developers introduced them there a long time ago and many players do not even know that PE has nothing of the kind. So far, there is testing of new mechanics and systems, but we know for sure that Minecraft PE 1.10 is already on its way, there is not much time to wait. In confirmation, John Hendricks posted a tweet showing the new feature. It shows everyone how the shields look and work in the new beta. That is, you can hold the shield with one hand and weapon with the second (crossbow and bow in this case). 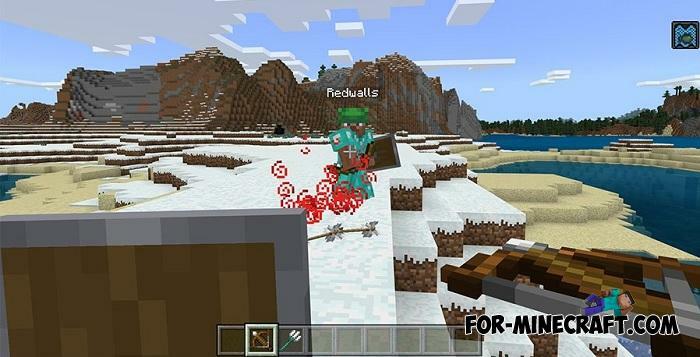 We are waiting for a new combat system which will become the main thing in PvP and especially for Minecraft PE servers. We also collect some suggestions what will appear in Minecraft PE 1.10 here. The first beta versions are scheduled for this or next week to be added to our site.